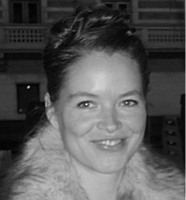 By Signe Kristine Nørgaard, guest writer for The European Women’s Lobby (EWL). Could a woman do Steve’s job? Yes, of course. But the status and fame she would acquire are unlikely to bring her anywhere close to the adulation accorded to Steve Jobs, as Siri Hustvedt pointed out in her contribution to this blog. Whether we talk about pioneers at the frontiers of innovation or culture-bearing institutions, we witness the same tendency: when women enter a new (or old) male dominated field, the mysticism evaporates along with much of the status and pay. Consider how prestige and status have escaped historically masculine bastions such as education, the arts, politics and medicine proportionally to the degree of ‘feminisation’, the causality of which has been discussed superbly by Swedish historian Yvonne Hirdman. What excludes women from IT is not the hype and mysticism, but the gendered exclusivity which they symbolise. Inclusion on the other hand means breaking the gendered spell and a subsequent drop in prestige. Of course it is not all that black and white. This could not be further from a biological or essentialist argument. IT is a vast and rather abstract ‘sector’ hardly reserved for men, but there are forces at play which de facto makes it mainly a male domain. It matters little if we are talking about IT or other prestigious sectors dominated by men or rather, masculine values and attributes. The IT sector is symptomatic of the issues worth investigating here. No more, no less. Having provided certain insights into the past and current situation, the pressing question is what we can do to change it. As has been brought up several times on this blog, taking to task gendered stereotypes and role models is an important step towards increasing women’s stake in the sector. And we must go beyond that. Comprehensively overthrowing gendered stereotypes requires that we confront the gendered value system itself. From this perspective, asking what it would take for a woman to do Steve’s job and win his glory is not good enough. Can we even imagine the same hype, prestige and monetary value attributed to, say, an outstanding woman working in the care sector? We might not yet be able to envision this scenario, but the point is we need to develop that ability! IT or care economy. We know that the first sector does not exceed the latter in economic or societal importance. But we also know that the societal valuation of the contributions of these sectors by no means reflects this reality. This discrepancy can be linked to the age-old political discussion about production vs. reproduction on the one hand and on the other it is a pressing socio-economic problem. Above all it is a gender issue. The gender segregation in the IT and care sectors is not a law of nature, nor are the distorted valuations of these sectors’ respective contributions or associated gender pay gaps. Therefore the most tangible benchmark for progress is the level of gendered pay and pension gaps and of gender segregation in the labour markets. But the solution must be found taking a more ethereal road through our minds. So long as society (women and men) subscribes to masculinised ideals, women’s work, regardless of the sector, will remain undervalued in terms of pay and prestige. This is not a battle between the sexes, but merely a matter of how recognition operates. Recognition, like respect, is not something one can claim, but something one must be given; the double meaning of recognition being key here: the way men successfully achieve recognition (acknowledgement) from each other is to a great extent dependent on their societally-rooted culture for mutual recognition in the sense that they ‘recognise’ (know, see and understand) each other. A woman achieving a position equivalent to Steve Jobs’ depends on affecting profound social change, but also on women’s ability to strengthen mutual recognition on their own terms by affirming what we already know: the deep awareness of the indispensable role of our contributions whether they are productive or reproductive. All the proof we need is already there. We need to operationalise this evidence and start formalising the means (institutional, capitalist, symbolic, communicative etc.) to give ourselves the recognition we know we deserve. 1. Her profound investigation of gendered culture, symbols and values is synthesized in the work Genus – det stabilas föranderliga former (the mutable shapes of stability). She develops a 'gendered power system' which refers to historically embedded, set of gendered values and symbols, which permeate our daily language and norms. Due to this inherited symbolic system "the masculine" is automatically attributed greater value than the "feminine". What is understood as 'masculine' and 'feminine' can change radically, but the gendered power system remains stable because power, value, prestige and status accrues to the ever 'masculine'. According to this logic attributes with feminine connotations can later on be adopted as 'masculine' attributes and so switch from low to high status, only now they are no longer 'feminine'.